Sixty years ago this month, Fintan Confrey of Louth won the All-Ireland Junior Softball Singles. Paul Fitzpatrick looks back on a glittering career and a tragic end. Think of handball in Drogheda and the name that comes to mind is Joey Maher. Such was the great man’s popularity in his home town that, in 2008, Maher was honoured with a life size sculpture at Scotch Hall, overlooking the Boyne. And when he passed away two and a half years ago, the local Drogheda Independent cleared its front page to carry the sad news. But Joey wasn’t the first Drogheda man to win a senior All-Ireland handball title. That honour fell to another, often forgotten legend, an enigmatic figure whose flame shone briefly and brightly and who was regarded by some as the greatest of them all. That man was Fintan Confrey who, 60 years ago this month, made a major breakthrough when winning the All-Ireland Junior Softball Singles title. 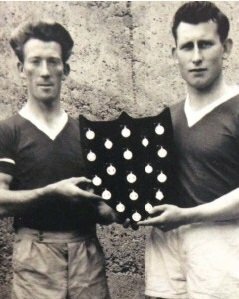 In 1957, Confrey beat Joe Coughlan of Birr in the Leinster final at Ballymore Eustace but would lose the All-Ireland final to Pat Kirby in Newport, Co Mayo. It was an era where, in softball, there were only three singles All-Irelands up for grabs – Minor, Junior and Senior. To say they were hotly-contested was an understatement. This was the sport’s golden era; handball then was a mass participation game but most activity was centred at local level and, unlike the present day, only the best in each county ventured further.  Nationally, the sport was very much a meritocracy, with the strongest painstakingly climbing the ladder to the top, where huge crowds and media interest awaited. At the summit, the air was thinner and only the best survived. And Confrey, some reckon, was the best of them all. In October of 1958, the St Mary's man won his junior All-Ireland. Having beaten Mick Murphy of Wexford in the Leinster final, he went on to defeat Galway’s Joe Barrett in the semi-final. I can find no record of his opponent in the final, only that Confrey won and was hailed a hero in his home town. The following year, his first in senior, he was a revelation. In the Leinster final at Delvin, he beat the legendary John Ryan of Wexford, coming from 19-13 down to win 21-20 in the fifth game, and he would go on to defeat Paddy Downey of Kerry in the All-Ireland final, 21-5, 9-21, 7-21, 21-8, 21-13. It shook up the handball world, this youngster coming out of junior ranks to claim the senior crown. A year later, he repeated the feat, beating Limerick’s Tom McGarry (21-15, 21-16, 21-15) in the final at Clogh. He later won the Gael Linn Cup – a national singles competition played on a 30-minute timed basis, with regional qualifiers, and open to every player in the country regardless of age – which was the closest thing to the All-Ireland but he didn’t win another Celtic Cross.  In late 1967, he emigrated to Canada to link up with Maher, with the Drogheda Independent carrying the news. “Fintan Confrey of Highfield, Drogheda, who was the first man to bring handball honours to the town, left on Tuesday last for Canada. He flew out from Dublin airport with his friends, Joe and Owen Maher of Mount St Oliver. “Red-haired 30-year-old Fintan, who has been playing handball since he was 10, has three All-Ireland medals (’58, ’59 and ’60) and last year he won the Gael Linn Handball Championships. Some handball players of the era whom I have spoken to reckon Confrey was decades ahead of his time. As for why he didn’t win more, at this juncture and relying on sketchy newspaper reports for the most part, we can only speculate. Some say he was eccentric, another told me he was a natural showman who was more concerned with dazzling the galleries than winning medals. In 1965, Sean Clerkin of The Irish Press was moved to note that “Confrey in serious mood is well nigh unbeatable”. The following April, he proved it when he won the Gael Linn, defeating Wexford’s Richie Lyng 32-18 in the final at Croke Park. Clerkin was awe-struck by what he had witnessed. “Adjectives could not describe the meticulous exhibition of Confrey, who plays with Na Fianna in Dublin but has declared for Louth in the coming championships,” he wrote. “In effect, he demonstrated how theory should be put into practice in giving an exhibition that enthusiasts like to read about and seasoned campaigners dream of but never achieve. “He has four All-Ireland titles to his credit,” it read,” though those interested in the game maintain that if he had been more intent on victory than giving fans value for money his tally of titles would have been a lot more. Sadly, one fact is beyond dispute. Confrey passed away shortly afterwards, drowned while swimming in the Bahamas. For some reason, there is no record of his demise in any of the national newspapers that I can find. It was in keeping with the enigma, maybe. After that, the trail goes cold. How good was he? His contemporaries rated him extremely highly. Ray Doherty, himself a former high-class player, who penned a book to coincide with the 1970 World Championships in Dublin. One section of it focused on the best players the sport had produced, going back to the earliest records. He picked Confrey as the best of them all. “The greatest? Well, it is a coward who will not hazard an opinion and for me it is a player who appears only briefly in the record books. 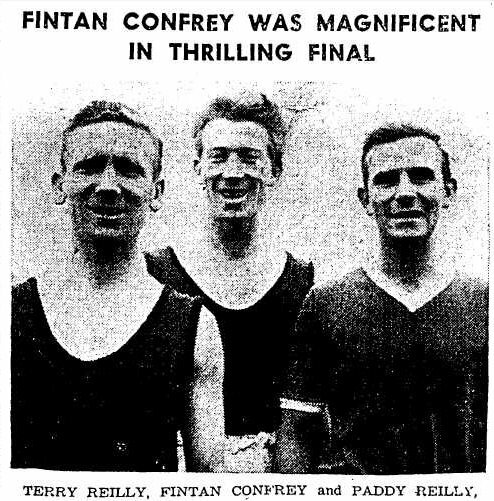 Winner of the Junior softball singles in 1958 and the Senior softball singles in 1959 and 1960 was the late Fintan Confrey, who lost his life in such tragic circumstances. “Genius is a word often carelessly applied sport but here to my mind was a player worthy of that title. His only failing was his temperament; otherwise he was a player supreme. Master of all shots, what really singled him out was his fantastic ability to change the direction of a shot at the last split second, making many a top class opponent look like a mere novice. All these years later, for me, it is sad to think that such a champion – with such charisma and grace - has become a footnote in handball history. Still, where handballers of a certain vintage gather, his name lives on. Last word to the playwright Tom MacIntyre, who played in goals for Cavan in the Ulster final in the same year, six decades ago, that Confrey broke through to senior ranks. Passion endures. Sixty years on and, here we are, talking about Confrey again. The passion that inspired a ginger kid from Drogheda to become one of the great ball-alley magicians must be out there, somewhere, in the ether, glowing, as MacIntyre wrote, and incomparable still.